This house occupies the former back yard of the house next door. The quality of the existing streetscape was poor so it was important that this house address the street. The entry gate is accessed via a landscaped path. Windows overlook the street while courtyard walls give privacy. This is a family house but the building can adapt – the ‘dining’ room could easily be used by someone working from home. 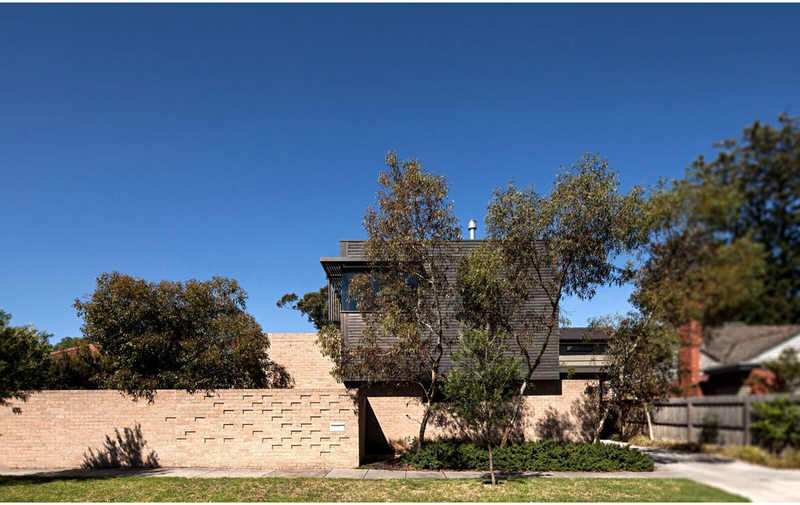 Robust materials of face brickwork, timber weatherboards and polished concrete ground slab were chosen for their longevity and sustainability, while also referencing the traditional building materials of the post war suburb. 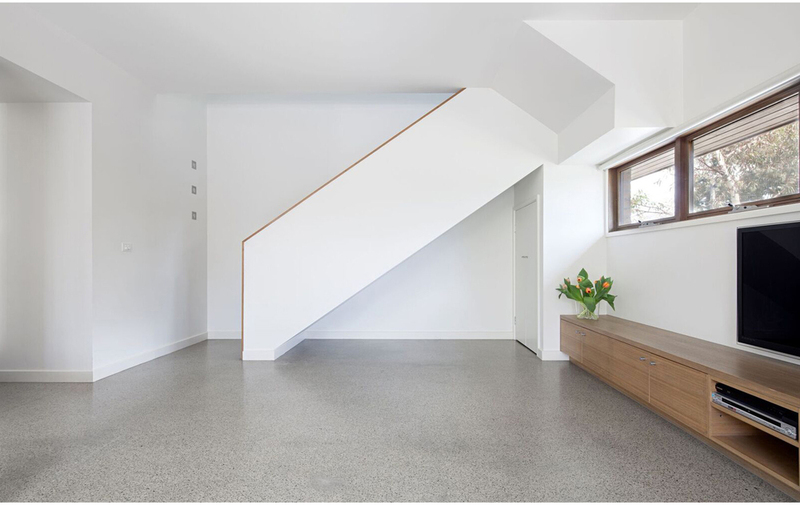 The large amounts of thermal mass provide comfort on hot summer days and cool winter nights. Cross ventilation has been carefully considered so that mechanical ventilation is rarely required. The native landscaping is low maintenance to suit a busy family while providing a variety of textures and delight.